Host a memorable holiday work party this year with Archery Games Calgary! We provide a fun and unique activity to go along with your work function. Our Archery Games referees will split your group into different teams and run an organized archery tag tournament throughout the 2 hour event. Gourmet Sandwiches and fruit, vegetable, cheese and dessert platters. Choice of roast beef, glazed ham, and chicken cordon blue, plus side dishes, salad and dessert. Want a different food option than what’s listed above? Give us a call (587-387-2799) & let us know what food options you would like organized for your event! The Locked Room’s “Hangar 403” escape room is located within our facility and can be added onto your event for $150 + GST per game! Hangar 403 takes on Area 51 lore and inspiration from the X-Files to create an immersive extra-terrestrial themed escape game. Have up 6 players try and solve the mystery of the alien conspiracy hidden within the walls of Hangar 403! The escape game has a time limit of 70 minutes to complete. Archery Games is an action-packed combat archery experience that allows 2 teams of 10 players to battle it out with bows and foam tipped arrows in an indoor arena. The game-play is similar to dodge-ball, and the ultimate objective of the game is to tag all of the opposing players with arrows in order to eliminate them from the game. All players are supplied with bows, arm guards and helmets, and the games are run by a referee. Each game lasts a maximum of 4 minutes, and there are 8 different game modes offered. No experience or athletic level is required as there will be training prior, and you can play as hard as you want. 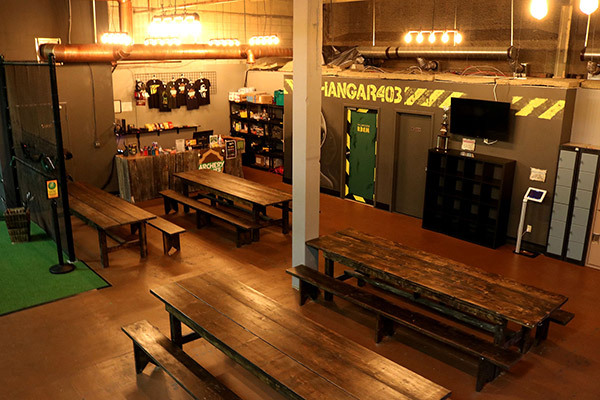 Hangar 403 is an immersive escape experience designed by The Locked Room. Players are put through the task of uncovering a government alien conspiracy theory through solving puzzles and deducing clues. 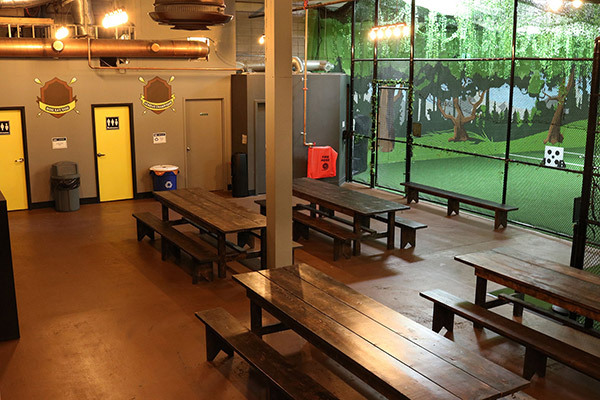 Groups of up to 6 players can play the room at the same time and the teams are given 70-minutes to escape the room. Puzzles include deciphering codes, completing calculations, pulling levers in a correct sequence, translating alien symbols to form a message, and so much more! Work together and collaborate as a team to solve the mystery of Hangar 403!